This statistic presents the online advertising revenue of the Mail.ru Group in the fiscal years between 2010 and 2017. Mail.ru Group is a leading online company in the Russian-speaking segment of the internet. 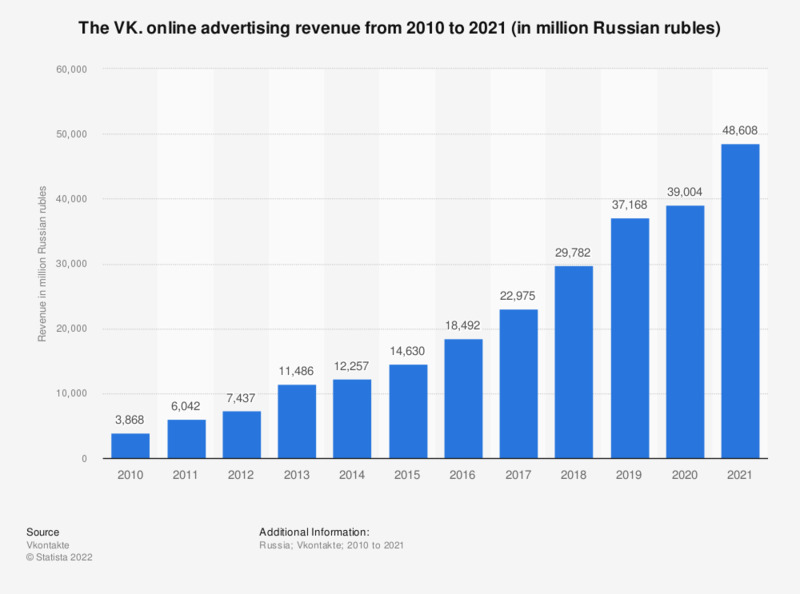 As of 2017, the annual online advertising revenue generated by the group amounted to approximately 23.8 billion Russian rubles.